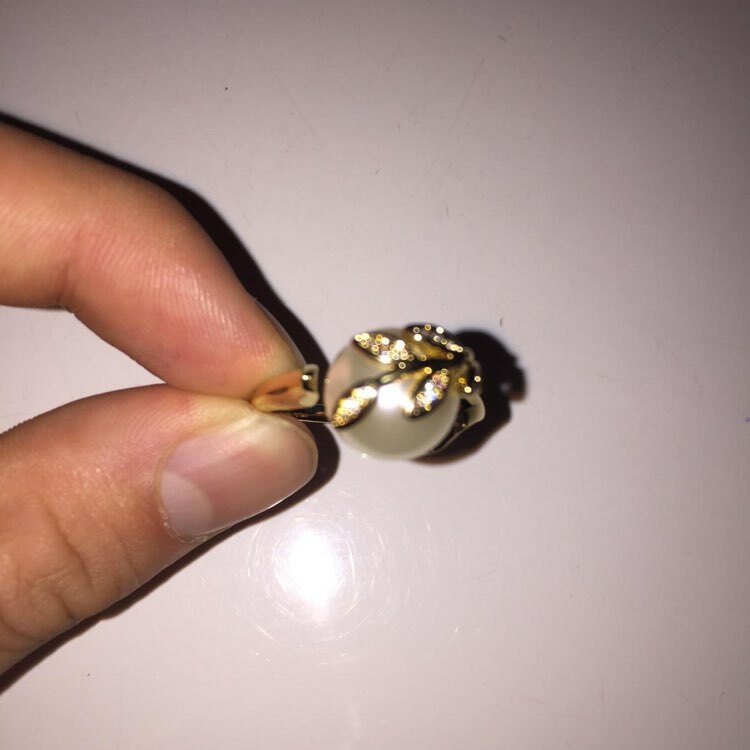 Gorgeous gold ring with a pearl. I love the way it shines and reflexes in the sun. The colour gold is exactly my colour and I love the details with the pearl and the diamonds. The product was packaged really well. It didn’t arrive damaged or scratched. I always love it when there’s good packaging, so there’s no possability for it to break. 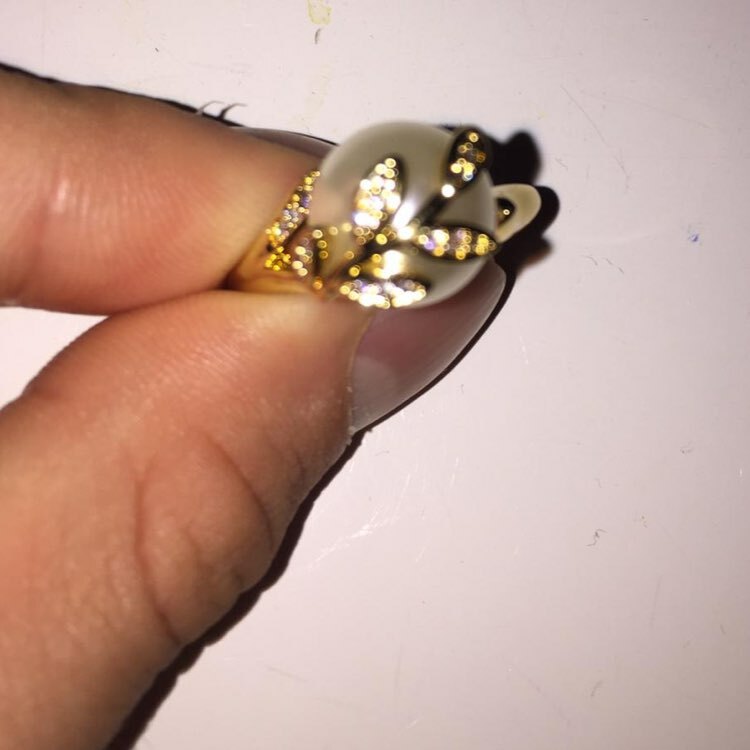 The ring is really well made. I love the details on the leafs with the diamonds and the pearl is also of really good quality. I’ll defenitely wear this on special occasions. The product is gold and white. 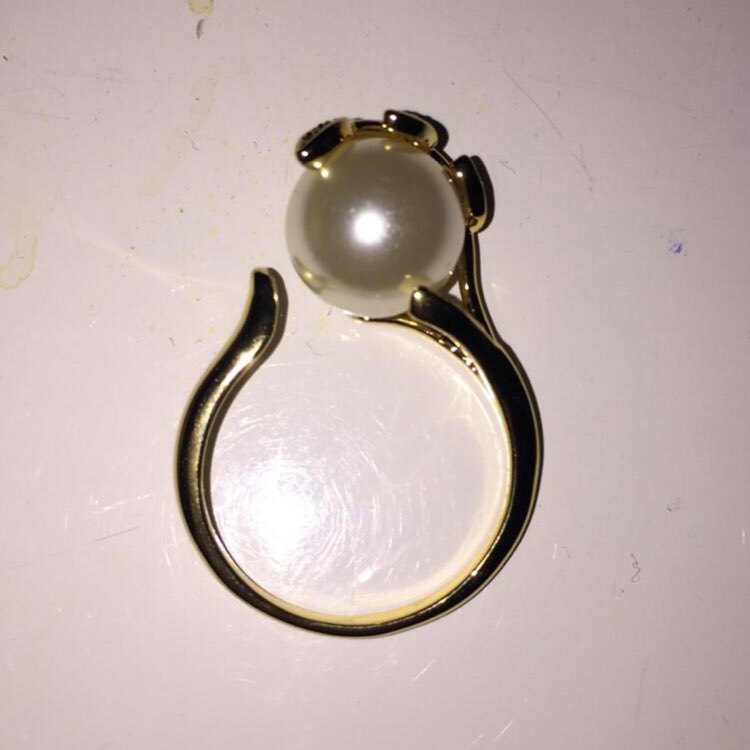 The pearl is white and the ring is gold. The size is exactly perfect for my finger. I love the way it looks on my hands. I will defenitely wear this ring on special occasions. It looks so classy and can make an outfit look so sofisticated. I would wear it to a birthday or a gala. My overall experience is that the ring is great!! I love the details, the quality, the packaging, the colour and the fit. I would defenitely recommend buying this ring.